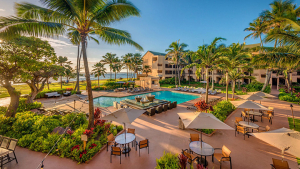 No resort fee, complimentary Internet access and more. Mainland air and hotel packages start from $983 per person, double occupancy. 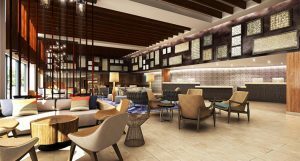 As the only Forbes Travel Guide Five-Star hotel on the island of Oahu for the past four consecutive years since 2015, Trump International Hotel Waikiki features 462 ultra-luxurious, spacious residential-style guest rooms and suites that can accommodate up to eight guests. Regular guest rooms offer kitchenettes while suites feature fully equipped gourmet kitchens with premium appliances, wine refrigerators, Italian marble baths with deep soaking tubs, washlets in master bathroom, in-suite washer and dryer units, and all the comforts of home with five-star service. 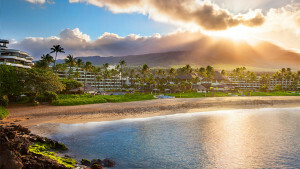 The hotel is only a two-minute walk to Waikiki Beach, and has available complimentary beach bag service with bottled water, fresh fruit, and towel. Beach services are available for a fee to set up beach chairs and umbrellas. There are sumptuous hotel services and amenities such as the sixth floor level Infinity Pool with hot tub overlooking Fort DeRussy Park and the ocean, The Spa at Trump®, complimentary access to the 24-hour Fitness Center as well as complimentary TravelFit service for workout apparel, pre-loaded iPod and yoga mats, complimentary access to the Library with laptop and printer, 24-hour room service and private in-suite chef upon request, complimentary infant and children’s amenities provided upon request, twice daily housekeeping service, and restaurants: BLT Steak, Wai’olu Ocean Cuisine, and In-Yo Cafe. The hotel has no resort fee. 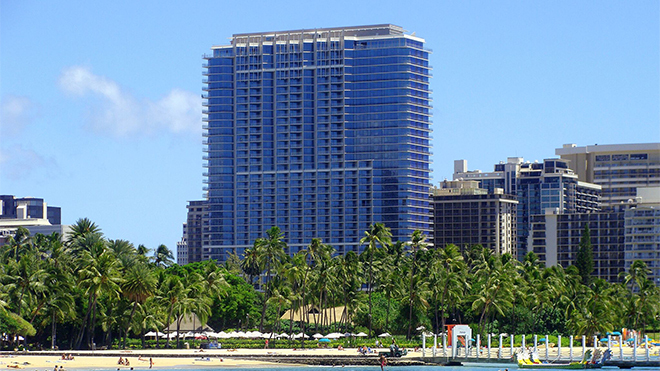 Trump Waikiki is truly ideal for couples, families and multi-generational travelers seeking an unforgettable Hawaiian vacation. 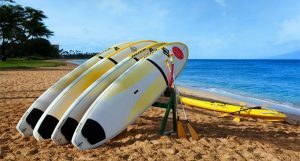 Starting from $983 per person, double occupancy with round trip air from select west coast cities and 3 night hotel stay.